The online activism network Avaaz has made a name for itself exposing websites complicit in the illegal ivory trade. Last year, the group launched a highly publicized campaign to pressure Craigslist into banning ivory sales. Its latest target? Yahoo Japan. 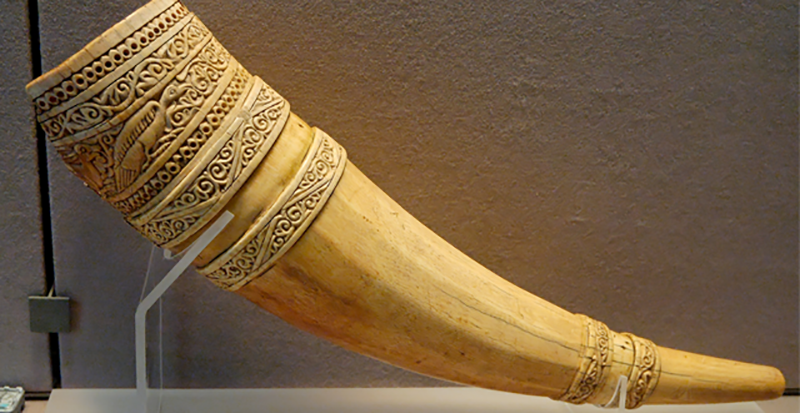 Ivory trafficking sounds like something you’d only find in the seediest corners of the internet, but a huge amount of illegal tusk is actually being sold on large consumer websites to buyers who are unaware of its origin. In April, a study by the Wildlife Conservation Society unearthed a flourishing black market ivory trade on Craigslist, where many ivory items of questionable origin had been listed as “antiques.” Given that approximately 100 elephants are slaughtered by poachers for their tusks every day, it’s reasonable to assume that many of these trinkets—which come with no documentation whatsoever—aren’t as antiquated as they claim to be. That’s why Avaaz launched a petition last week to pressure Yahoo CEO Marissa Mayer into ending ivory sales through her company’s trademarks. As of writing, that campaign has over a million signatures. But so far, Yahoo has not offered any indication that it plans to put added pressure on the Japanese website that uses its brand name. While Yahoo Japan is an independent company, Yahoo Inc. is a 35 percent shareholder in the business. Gizmodo has contacted Yahoo Inc. and Yahoo Japan for comment and we will update if we hear back. Update 1/26/15 2pm: Yahoo Inc. has responded to Gizmodo with the following statement. At Yahoo, Inc., we understand the concerns raised by this campaign, and we in no way condone the sale of products made with ivory obtained from any animal at risk of extinction. Yahoo, Inc. does not accept ads for ivory under our existing policies (“Live Animals & Endangered Species - Yahoo Product Ads prohibits the sale of live animals as well as products obtained from or the actual sale of endangered or threatened species.”). Yahoo, Inc. is an investor in Yahoo Japan and does not have controlling ownership. As such, Yahoo Japan determines their own policies and we refer you to the Yahoo Japan team for comment regarding their policies.